It is hard to believe that it is July already, it seems that Christmas was just last week, and now here we are into the Summer of 2010. How time really does fly. It may be that I am getting older and my immortality is becoming something I am thinking about. But I’m only halfway to 88, so I’m not that old, am I? Or it could be that I am just in a very melancholy mood, just drifting along. Time keeps on drifting into the future, that’s what the song states, but me, I keep on drifting into the past. 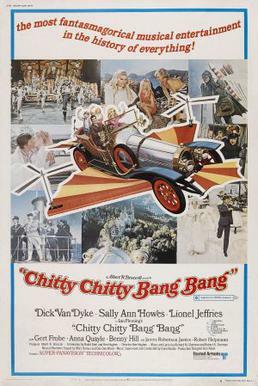 the other day I was watching Chitty Chitty Bang Bang, I love that movie, and was remembering when I first saw it. How I thought that the car was real and could do all the wonderful things shown in the movie. How simple it all was. I remember seeing it at the drive in theater, eating popcorn from a large brown paper grocery bag and drinking town club soda from a bottle. We brought our own snacks along with us, much cheaper that way. I remember the little play area in front of the screen were us kids could swing and play and they even had a free train ride. So much simpler back than. I think that’s what I am looking for, the simpler times. In today’s world of complex, the simpler gets lost. I miss that, I crave it and I try to recreate it in my life today. Sometimes I achieve it, like when I spend the day at Greenfield Village or Mackinaw City and Mackinac Island. But they are sadly to far between visits and the complex invades my time. Simpler is better it seems to me. Take new math, what was wrong with the old math, 2+2=4 in both, so why make it more complex? Look at our family life, everyone needs planners and play dates and taxi service and social networks and ipods and this pod and that pod. To complex! What ever happen to just going out and finding a pick-up game of kick ball or baseball, simpler is better. I don’t know, maybe I am just getting old, and I just want things to slow down, but I am only 44, that’s not old. But maybe I am.. Who knows. But I think its more than that, I think I am on to something here, I think life has become to complex and the American Life needs to slow down and return to a simpler, less complex, time. We need to rediscover the fun in just being together as a family, we need to experience the joy of a good old fashion picnic or a day exploring the small towns and villages that surround us. I remember how I use to love being with my family, my mom and dad and all my brothers and sisters. I remember vacations and outings with a smile on my face and warmth with in me. The simplicity of it all was magical! As I got old I remember enjoying just spending time together, maybe taking a Sunday drive or just sitting around, the complexities left behind, no text messaging, no cell phone calls and no laptop and wireless for my social networking. We just spent time, eating, drinking and laughing together. Today is much to complex, this idea of instant contact and constant updates is out of hand. We place ourselves upon pedestals of grandeur and market ourselves and important. We update or twitter, just incase someone wants to know we are eating a hotdog or we facebook the world to let them know we just finished the dishes, and all the time fooling ourselves that people truly do want to know or need to know. To complex and to self absorbed, I prefer the simplicity of times gone by, I prefer the face to face over the facebook to facebook. Sure I have a facebook account and I check it daily and update my status. I have a blog, as you well know, and update it I even have a linked in account and a 4marks account. I use email and texted messaging and only use a cell phone, no landline at all. And yes sometimes I get caught up in all the complexities of the world, but I truly long for the simplicities of yesterday. I long for the days when once again I would believe that a car can fly and magic was real. I miss the times of long summer nights spent outside playing four corners or a game of whiffel ball. This entry was posted in brother(s), dad, Family, growing up, Life, mom, sister(s), youth and tagged Account, American, area, ball, Bang, bottle, cell, christmas, dishes, facebook, George, grandeur, Greenfield, Island, kids, laptop, Life, look, mackinac, mackinaw, math, mood, movie, needs, paper, self, Simpler, snacks, soda, Sometimes, song, status, summer, Sure, take, taxi, text, theater, Time, times, vacations, village, villages, world. Bookmark the permalink.